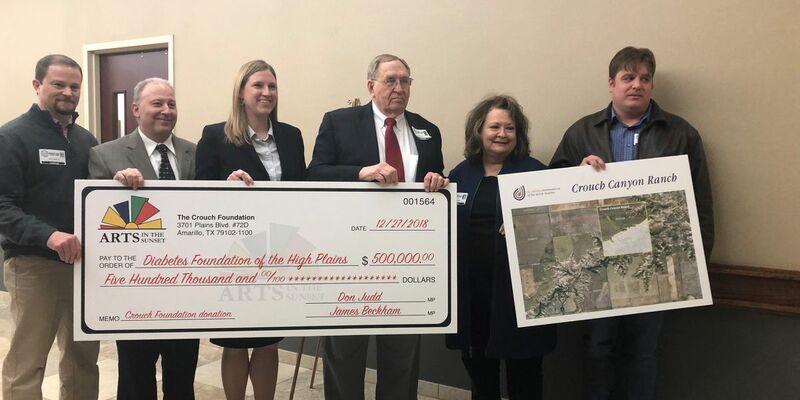 The Crouch Foundation donated a 640-acre ranch & $500,000 to the Diabetes Foundation of the High Plains to build a children’s diabetes camp for the Tri-State region. CANYON, TX (KFDA) - Local children diagnosed with diabetes may not always have the opportunity to experience summer camp away from home, but through Camp New Day and the Diabetes Foundation of the High Plains, a week at a camp with trained medical professionals on hand makes that possible. "We try to build or have a camp, just like you would go to any summer camp with fun activities for kids, but the part that makes a diabetic camp different is the staff that's there is trained to take care of the kids,” said Alison Lunsford, President of the Diabetes Foundation of the High Plains. Without a permanent home for the yearly camp, late philanthropist Ann Crouch wanted to build a diabetes camp for children that would serve the Tri-State region. For months, The Crouch Foundation has worked to carry on her dream, donating her 640-acre ranch bordering Palo Duro Canyon to the Diabetes Foundation, as well as $500,000 toward any work needed to build the camp and expand services. "I think we have the possibility to expand it to have a fall weekend,” said Lunsford. “We'd like to have family camp where we have really young children, we have some infants and toddlers with diabetes, for them and their parents to come down and camp, so I think we'll have the opportunity to expand to more weeks." Those close to Crouch say the wish to build a camp was a cause near and dear to her heart. "If you had known Ann, she was such a loving, giving person, not only to the arts, but to something she was really near and dear to her,” said Marshi Lair, a board of directors member of The Crouch Foundation. "Both her son and her husband were diabetics and I think it was the wish of all three of them to be able to do that." Both foundations have worked together to make Crouch's vision a reality. "It was part of her last mission and will that she wanted this to come together so we've been working with both boards to come together and create what was her final wishes,” said Susie Self, Assistant Director of The Crouch Foundation. It’s a creation that will be known as Camp New Day at Crouch Canyon Ranch, granting kids a chance to forget about their disease, just for a bit, and enjoy fun and safe summer memories for years to come. While there is no set timeline on when the camp will be complete, the Diabetes Foundation of the High Plains hopes to start work immediately.